Over the weekend, I had the chance to start up another terrain project I’ve been thinking about. This time, it is a large 2′ x 2′ board for my Test of Honour set. 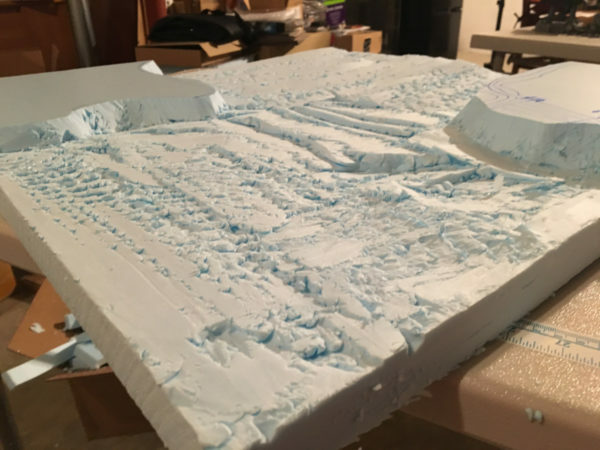 I picked up large piece of 8′ x 2′ x 2 inch insulation foam with the intent of making something altogether different but that quickly didn’t pan out. Switching gears, I decided to try my hand at a full gaming board instead. 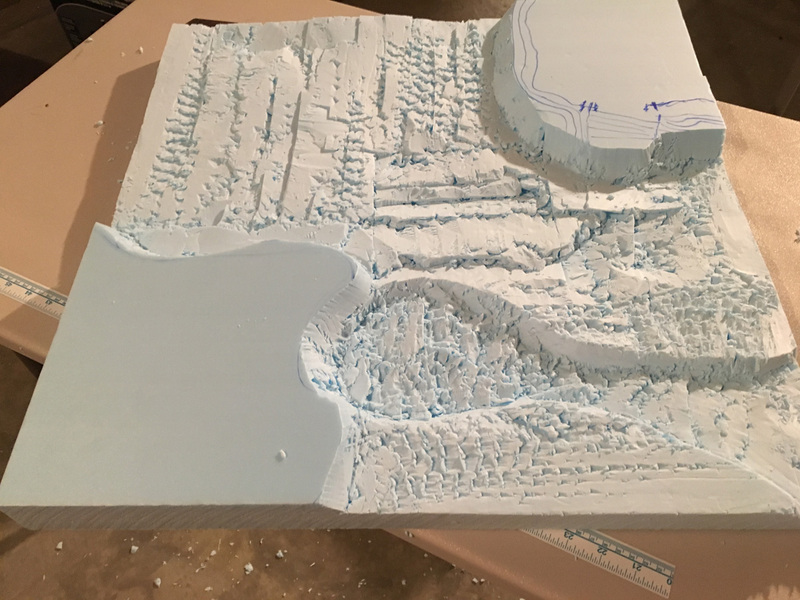 I cut out the 2×2 block and then laid out some of my existing terrain and figures to get a sense of scale. 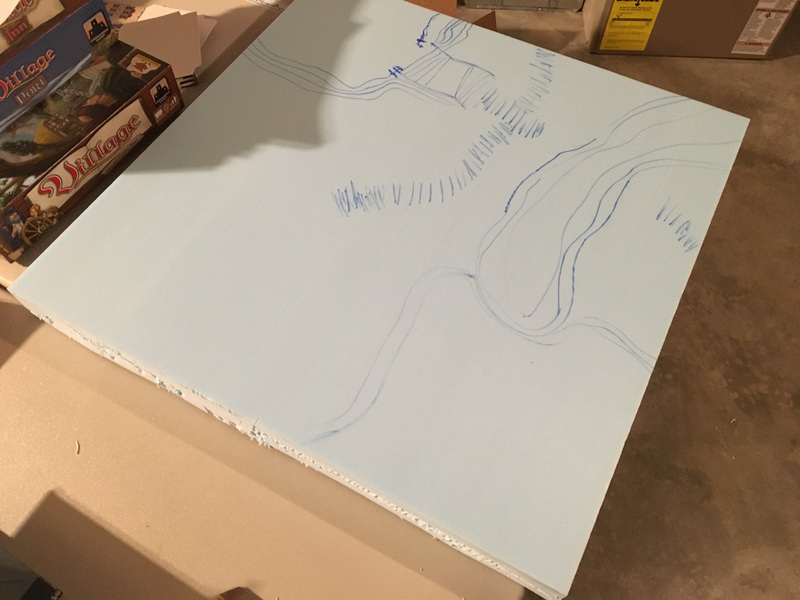 Using a blue marker, I rough-sketched some terrain features to get a layout. I don’t really have the right tools so with a long razor knife, I hacked the crap out of the layout in strips. For the plateaus, I carefully cut in at an angle and rough-formed the outlines. I wasn’t too worried about the deep gouges as I didn’t want the land to be perfectly flat. I’ll find out later that I also didn’t want the land to be like the unforgiving hills of the Scottish Highlands either. Moving on, I cut a river/pond channel out as well. 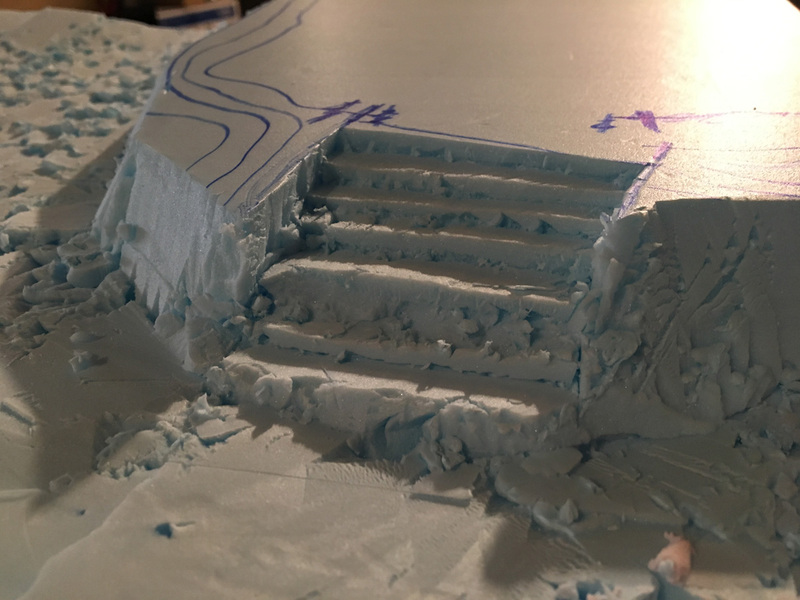 I decided to rough out some stairs to one of the plateaus. This was measured to be wide enough and at angle that would still accommodate Test of Honour’s wide bases. 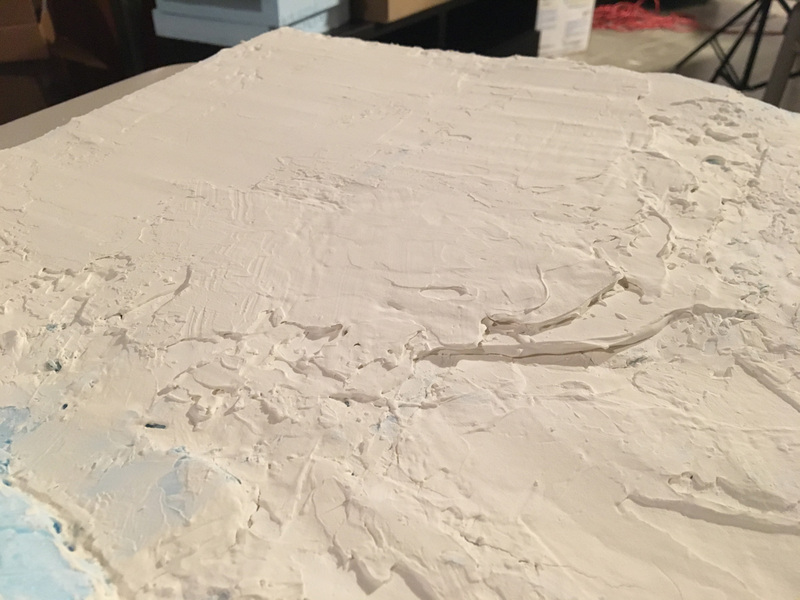 The gouges were a bit much so I decided to start filling them with some drywall spackle. Well. 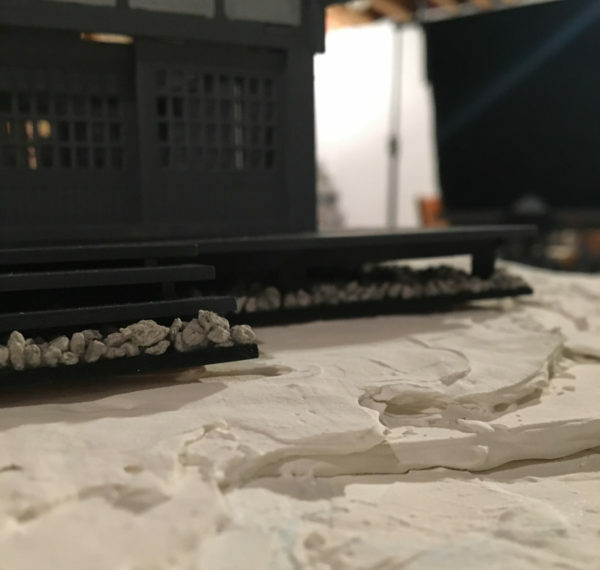 A lot of spackle. 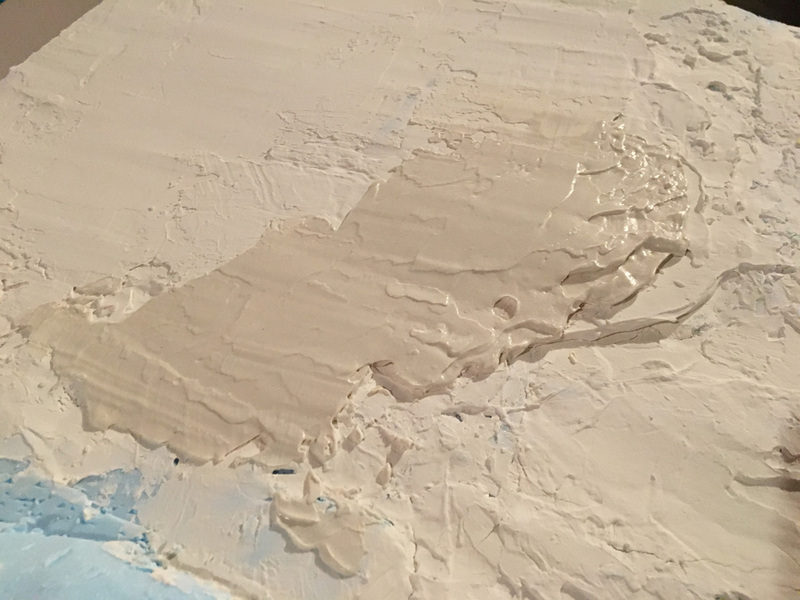 Luckily, my wife’s last home improvement project saw her overbuy in the spackle department so I had a big tub to work with. 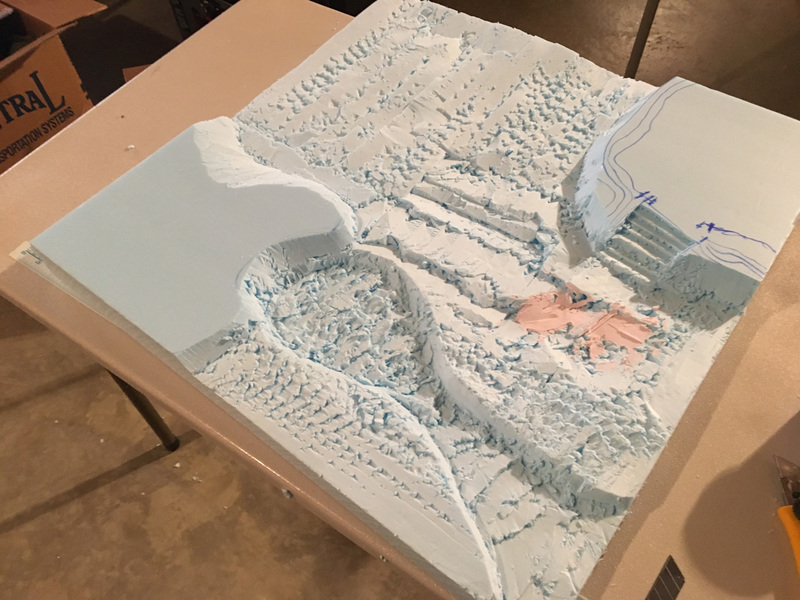 I did a test laying out my big Dojo building and found that the terrain was completely unstable for it so I started building up a flat area. 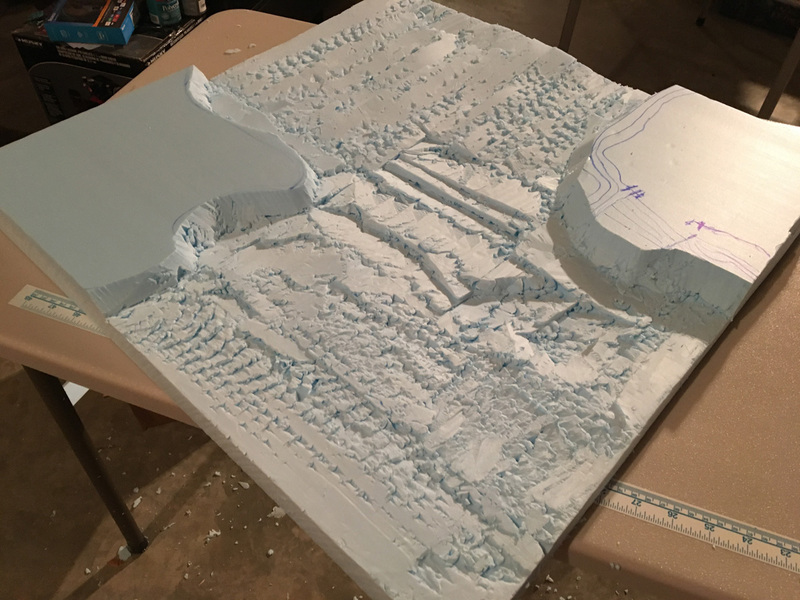 This proved to be quite a task so every night, I go down and lay down a layer of spackle to try and smooth out a flat area for the terrain piece. Day 6 of flat spackling and things are a bit better but there is still a gap, making the terrain piece rock back and forth like an annoying restaurant table. So more spackle goes down with a wide putty knife and I’ll see how it lays later tonight. 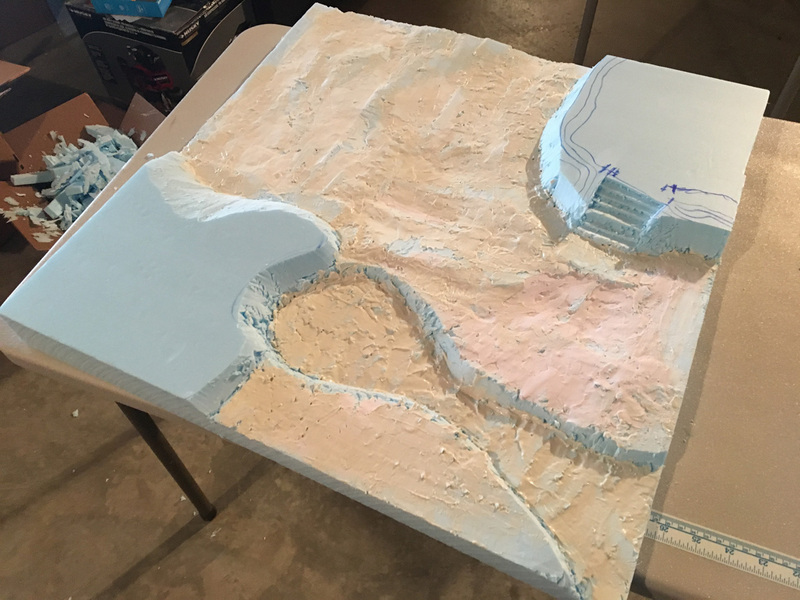 I can feel the end is near for this aspect of the board and then I can work on sealing it, adding texture with sand and grass, and then finally priming and painting.